CBS, the only big broadcast network that isn't part of Hulu, now has its own Hulu-like streaming video service. Someday the service, called CBS All Access, could give the network a direct route to viewers, bypassing its broadcast television affiliates and cable provider partners and revolutionizing the way television is delivered. CBS and its competitors like Disney and Time Warner have recently shown interest in so-called direct-to-consumer products, and Time Warner's HBO announced on Wednesday that it would start selling a version of HBO via the Internet in 2015. But for the time being CBS All Access is merely "additive," the CBS Corporation chief executive Les Moonves said Thursday, intended for people who don't receive CBS programming via cable or satellite. Moonves said the service, which is available immediately, delivers "the most of CBS to our biggest fans" for $6 a month. CBS indicated that it will sell a version of its HBO rival Showtime via the Internet sometime in the future, too. It's as if CBS, HBO and other media giants are placing multiple bets on the future of TV -- so that they're protected no matter what happens. The CBS All Access service mimics Hulu in some ways by providing full current-season libraries of 15 of its prime time shows. CBS doesn't have full-season streaming rights for all of its prime time shows, however; "The Big Bang Theory" is one that will be missing. All Access also resembles the now-defunct Aereo service by offering live streams of CBS stations in the 14 markets where the company owns stations. CBS and the other major broadcasters successfully sued Aereo in federal court. The stations' signals are already available for free over the public airwaves, but CBS's app brings the signals onto mobile phones and tablets. CBS All Access further mimics Hulu (and Netflix and Amazon Prime) by providing past seasons of current series like "The Good Wife" and retired series like "Cheers." What it won't provide, though, is any access to one of CBS's biggest draws: Thursday and Sunday football games. "Some sporting events, including NFL coverage, are not available for live streaming through CBS All Access," the company's web site says. The service may appeal to some people who don't currently subscribe to any form of cable or satellite -- "cord-cutters." Those are the same people HBO said it wants to reach by selling a separate subscription service. CBS, however, has a somewhat older and more traditional viewership. 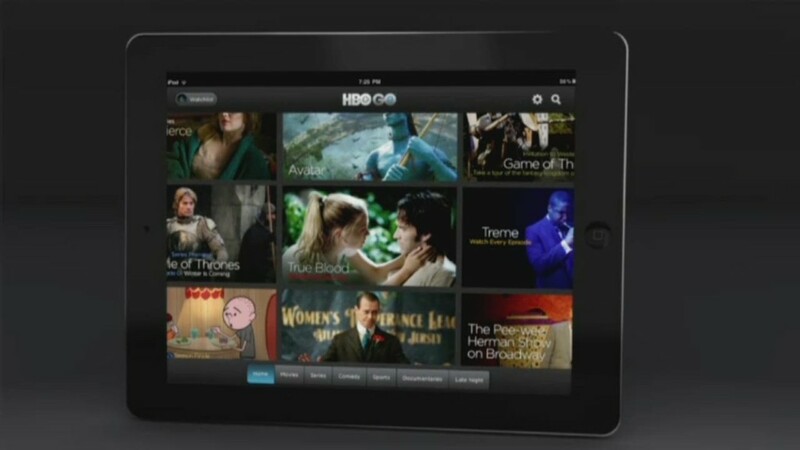 "HBO and CBS a la carte won't blow up cable," Derek Thompson of The Atlantic wrote on Thursday. "The vast majority of older households adores pay-TV and spends four to five hours a day glued to the couch." But younger households are different, Thompson wrote, and options like CBS All Access, HBO via the Internet, Netflix, and others make it "thinkable to be a television fanatic without actually paying for what we've historically considered 'television.'"